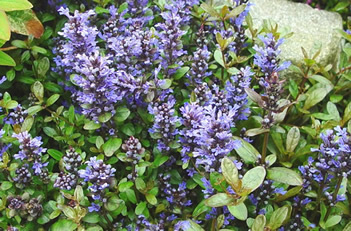 Very crinkled bronze, metallic foliage makes a unique ground cover for the garden. Deep green-burgundy basal rosettes form, grabbing tight to the ground and are covered with deep blue flower spikes in spring. Beautiful when planted in mass.